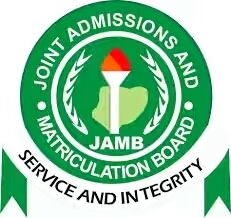 The Joint Admission Matriculation Board (JAMB) has announced the withholding of UTME 2018 candidates results. However, according to Jamb Spokesman Mr. Benjamin he said that some of the candidates whose results were withheld formerly had access to their results but at the chance of accessing their results proved abortive on their website and thus denoting that candidates complaints that in an attempt to recheck their results on JAMB website will produce 'you did not write the examination' or 'you do not have any result yet'. Notwithstanding, Mr. Benjamin proposed that the board would schedule reexamination for the affected UTME candidates. Thus, affected candidates should be proactive in ensuring the time scheduled for their re-examination. Also, Candidates of UTME 2018 who wish to do change of course/institution should do so within the stipulated time which is only available on JAMB website @ http://www.jamb.org.ng whenever it is out.